Andre Ward is a rising star, who is undefeated (21-0, 13 KO’s) and by the end of the “Super Six” Tournament, may be regarded as the best super middleweight in the world. After a stellar amateur career where Ward won the Light Heavyweight Gold Medal at the 2004 Olympic Games, his decisive victory over Edison “Pantera” Miranda placed him among the elite super middleweight contenders. Then, Ward’s dominating performance over Denmark’s Mikkel Kessler, in which he captured the WBA Super Middleweight Championship, was his finest to date. He displayed phenomenal hand speed, ring generalship and precise combination punching. Ward has truly taken his skills to the next level, and is well on his way to reaching the summit of his craft. On the other hand, Ward’s next opponent, Allan Green (29-1, 20 KO’s), is no pushover. Green enters the tournament as a substitute for Jermain Taylor, who withdrew from competition after suffering a devastating knockout loss at the hands of Germany’s Arthur Abraham. Green is a prominent replacement for Taylor. He possesses an excellent amateur background that includes winning the 2002 National Golden Gloves at light heavyweight. As a professional, Green’s most memorable victory was a crushing 1st round knockout versus previously unbeaten Jaidon Codrington on ShoBox. After that, Green won his next five bouts, which included victories against Anthony Bonsante (TKO 5) and Jerson Ravelo (TKO 8). However, Green suffered a setback in his bout with Edison “Pantera” Miranda, losing a ten round unanimous decision. Green knocked Miranda down in the 8th round, but Miranda floored Green twice in the tenth. At times, Green looked lethargic and Miranda took full advantage, landing a multitude of well-timed overhand rights. Later on, Green was faced with even more adversity in the summer of 2007 when surgery was performed to remove the majority of his colon. After successful surgery, Green resumed his career and picked up where he left off before the loss to Miranda. Since suffering his only professional defeat, Green has won his last six fights, ending four of them by knockout. Green may have been overlooked when the participants were selected for the “Super Six” tournament, although he could be a major force in it now. One of the keys to victory for Ward is the use of his overhand right. Green has a tendency to hold his left hand too low, which enables opponents to land the overhand right with remarkable accuracy. Miranda was able to greatly exploit this flaw in Green’s arsenal, and it is likely that with Ward’s sophisticated punching, he will be able to do the same. Conversely, Green possesses significant power, swift hand speed and exceptional countering ability, especially with his left hook. After throwing his right, Ward needs to be extremely careful that Green does not immediately land his potent left hook. Green throws and lands clear-cut punches too, but he is not as fluid with his overall punch output compared to Ward. Look for Ward to utilize his superior lateral movement, as Green will patiently try to offset his attack. Can Ward handle Green’s power? Will Green be able to throw enough power punches to increase his chances for a knockout? Green may have trouble landing a high percentage of his shots in this fight, although he absolutely owns the power to hurt Ward. In his past fights, Green has displayed the capability to easily finish an opponent after he hurts them, and holds a 67% knockout ratio to Ward’s 62%. Yet, Ward owns the skills to counteract Green’s offense with superb lateral movement, which decreases the likelihood that Green will be able to land meaningful combination punches. Which fighter will be able to get off their punches first? If Green can establish a strong left jab, he can neutralize Ward’s foot speed. Ward is known to use his legs more to set up his offensive attack, but that does not necessarily indicate he can get in and out without absorbing crisp, accurate punches from Green. 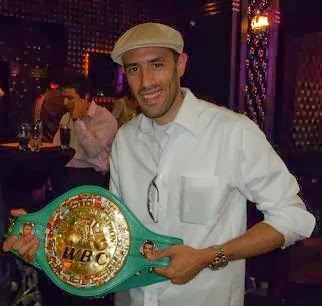 Prediction: Andre Ward is a better boxer than Green, and I see him dictating the pace in the bout. That being said, I believe Green can and will hurt Ward at some point during the fight. How will Ward react when Green hits him? I think Ward can take a solid punch, and I don’t think Green will be able to land enough to win on points. Therefore, I think Green’s only way to win will be by a knockout. Conventional wisdom tells me to pick Andre Ward by a 12 round unanimous decision, but Green has me buying the hype. I feel he is in tremendous shape, and is exhibiting the exact confidence a fighter needs to win. I’ll go with the underdog and pick Allan Green by a 10th round TKO.